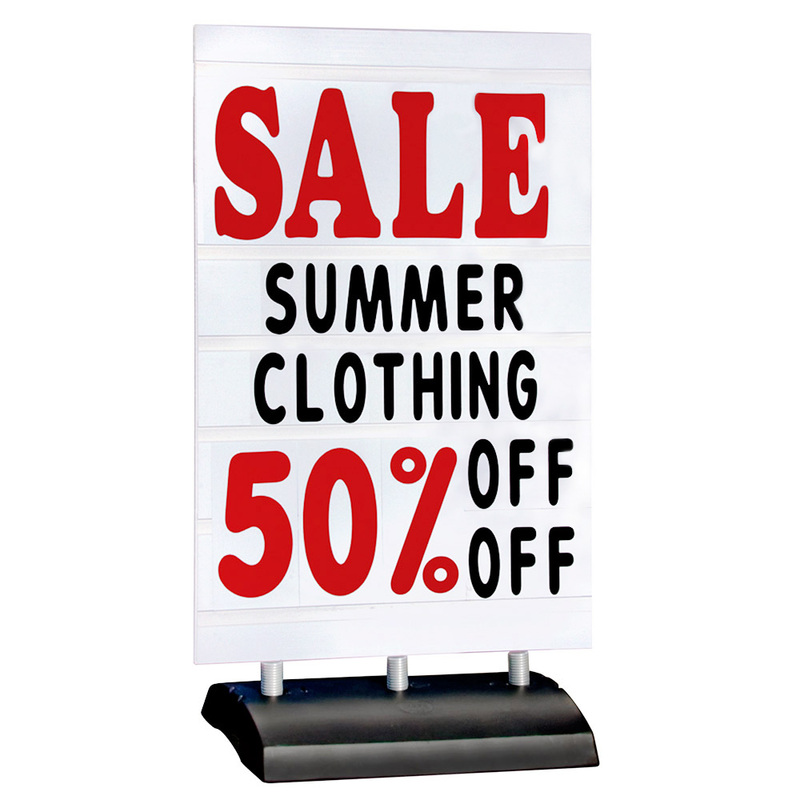 Double-sided XL Springer Deluxe Sidewalk Sign has a compact base that can be filled with water or sand for stability. Built in EZ grip handles for easy transportation. Includes over 389- 5 in. black letters and red numbers and symbols. 24- 10 in. red jumbo letters. 2- double sided header panels that say SALE/SPECIAL. Easy to assemble.